‘Touch her feet and seek blessings,’ mother whispers in my ears as I stand transfixed in the corner of the first floor of an old wooden house in Kathmandu. My 10-year old self is staring wide-eyed at the beautiful little girl sitting on a slightly raised platform in front of us. Dressed in what seems like a shimmery red lehenga blouse and decked up in fine jewellery and makeup, the girl is a picture of grace and poise. I keep gawking, endlessly fascinated by her, as she keeps vanishing behind the stream of people pouring in to pay their obeisance to her. ‘She is Durga Ma, say pranaam and touch her feet. She will bless you’, mother nudges me again, shaking me out of my reverie. My hands folded in a prayer, I kneel down and touch her Alta decorated feet, overwhelmed by the idea of a real-life goddess. Still kneeling, I wait for some magic occurrence but the scene dissolves into a blur of bright colours and I snap back to reality. As I read the email inviting me to witness the Indra Jatra festival and Kumari Chariot Procession in Kathmandu, my thoughts kept going back to that first audience with the Kumari Devi, or the Living Goddess of Nepal. 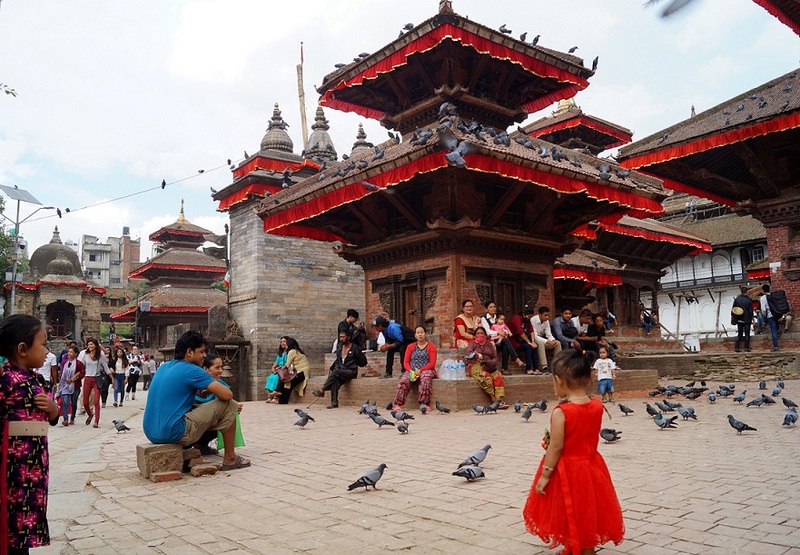 And now that I am back from an exciting 9 day tour of Nepal, with another opportunity to come face to face with the Living Goddess in Kathmandu’s Durbar Square, the memories of childhood have come embellished with fresher observations, with the mind registering more than just her pretty dress and the comely aura of mystery. Details of this experience will soon expression on this blog, along with accounts of other experiences that I had in this beautiful country. This tour was a wonderful opportunity to acquaint myself afresh with Nepal’s excellent diversity – from bustling Kathmandu to serene Nagarkot and quiet Pokhara and wild Chitwan in between, every experience was an occasion to discover and explore different aspects of Nepal. From long drives across the countryside with its picturesque villages nestled amidst lush green paddy fields to the shopping sprees in teeming Thamel, every day had something exciting in store that helped learn more about the country. 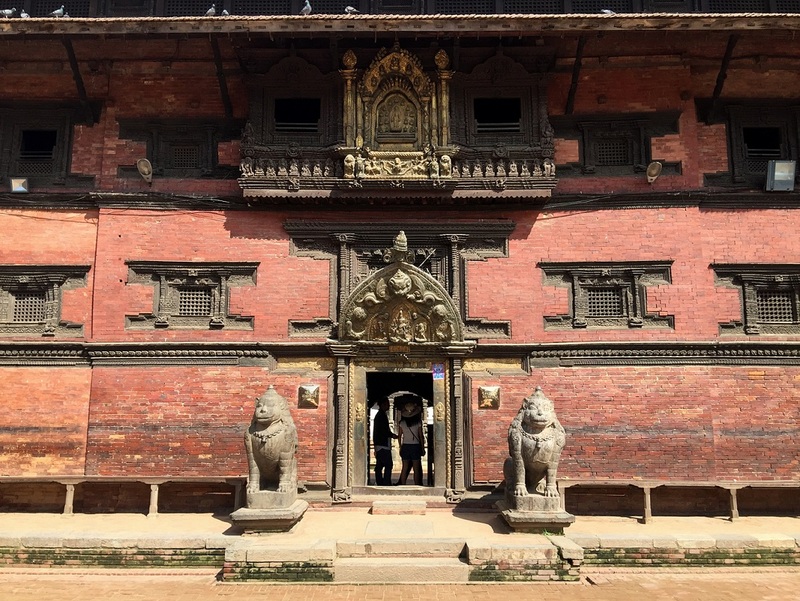 The first 3 days in this Nepal trip centred around soaking up the cultural and architectural delights in and around Kathmandu. 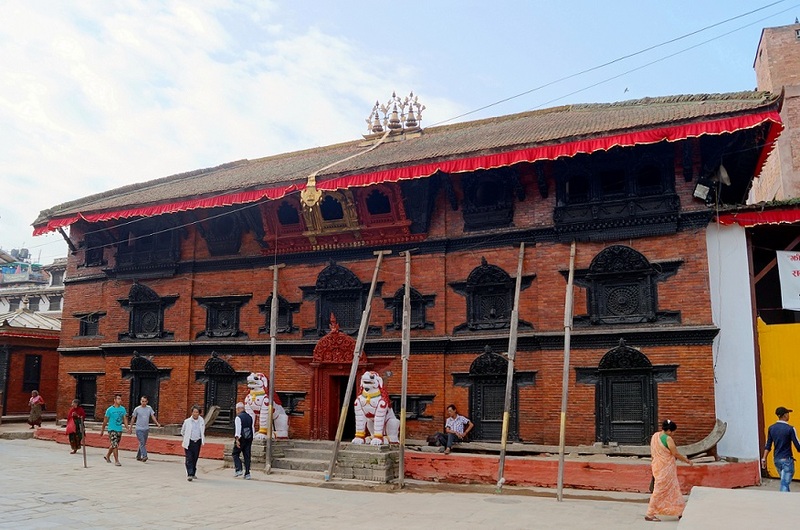 Besides visiting the Living Goddess at her traditional house, visiting Pashupatinath – the famous Lord Shiva temple, admiring the history and bustle of Durbar Square and marvelling at the awe-inspiring monuments of the ancient towns of Patan and Bhaktapur were the highlights of the Kathmandu itinerary. 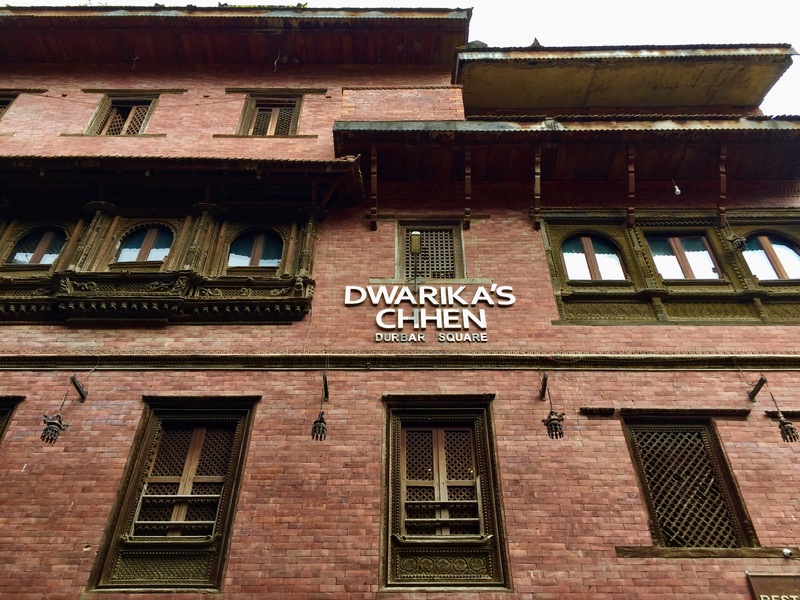 The excitement of the brilliant sightseeing tour of the city tied with the unique experience of staying at Dwarika Chhen, an old and beautifully maintained heritage property that was originally a traditional Newari house. 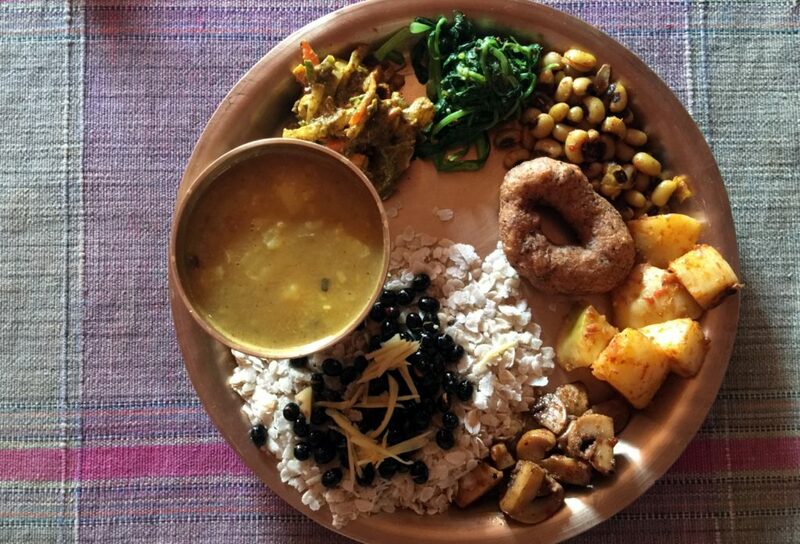 A review of the property will feature on the blog soon, along with a detailed take on the traditional Newari delicacies that constituted a major portion of the food served at the hotel. 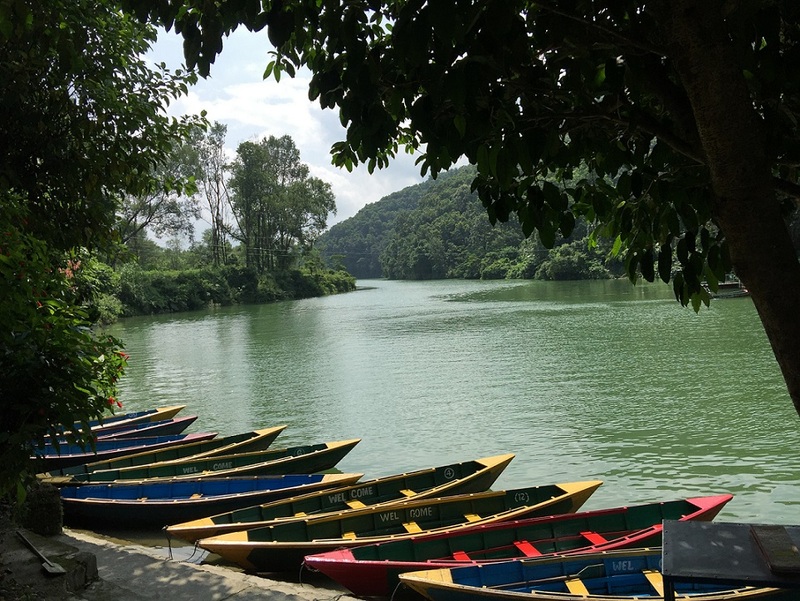 While Kathmandu, the capital of Nepal, delights visitors with its architectural richness and bustling streets, Pokhara, the tourism capital of Nepal is home to beautiful lakes and spectacular landscape. Post a bumpy 8-hour ride from Kathmandu, navigating winding dirt roads across landslide prone mountains, it was soothing to spend the evening walking along the popular Phewa Lake and absorbing the scenic beauty all around. 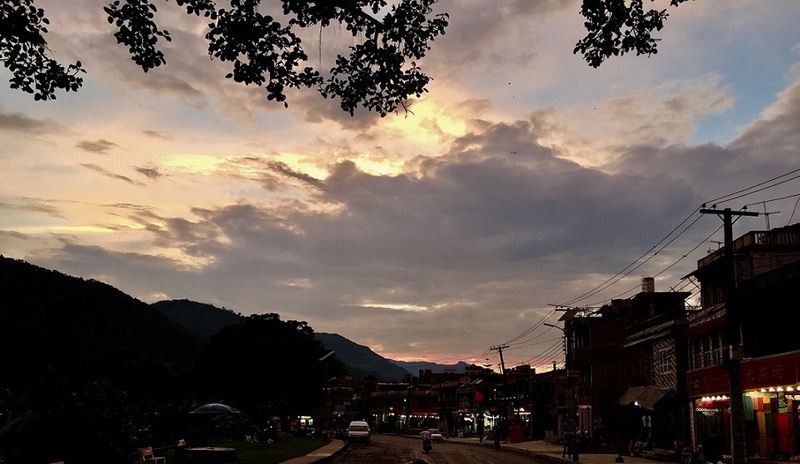 Roughly 150 kms from Kathmandu, on the way to Pokhara, is the picturesque village of Bandipur. 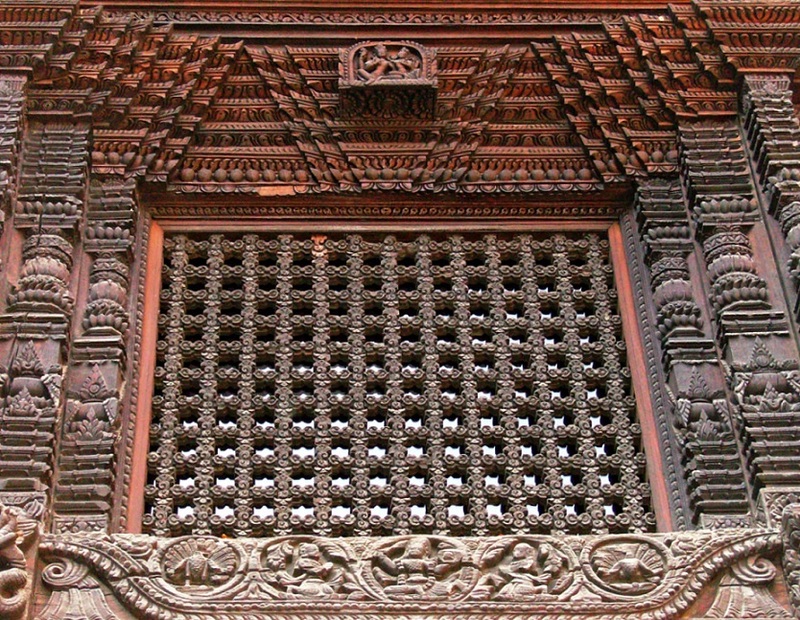 This hilltop village not just made for a relaxing break from the choppy long drive to Pokhara, but also cheered up with its striking architecture – a curious mix of traditional Newari construction with a marked European feel. A leisurely walk around the village made for a lovely chance to absorb the locals going about their daily chores, farmers tending to their fields and the kids frolicking around the streets. 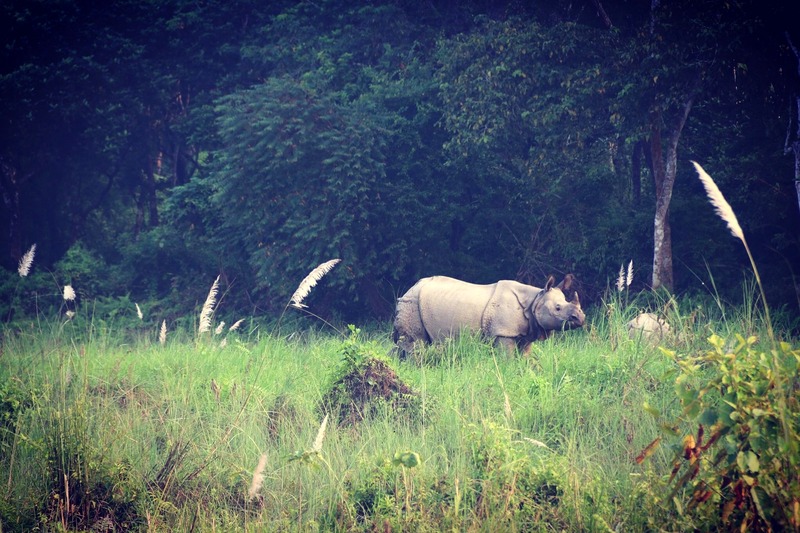 From Pokhara it takes 5 to 6 hours of drive across hilly terrain to reach Chitwan, home to Nepal’s first national park – The Royal Chitwan National Park, also a UNESCO World Heritage Site. The Park offers amazing wildlife experiences but its biggest claims to fame are one-horned rhinos, and other fascinating species such as the royal Bengal tigers, and Asiatic elephants. 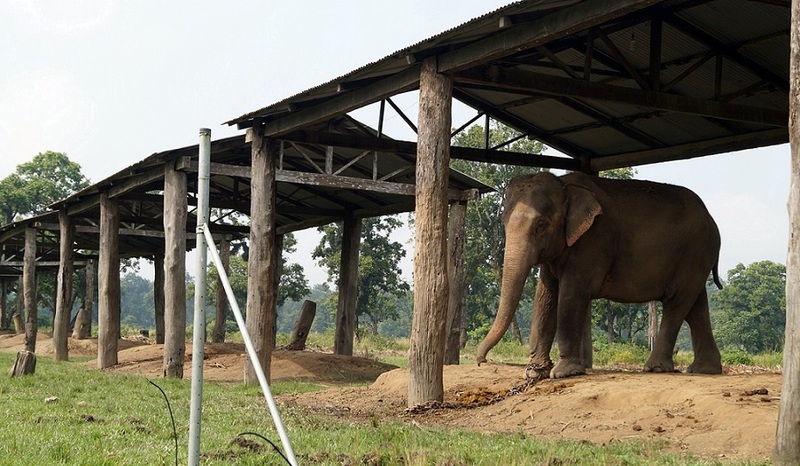 While the first evening at Chitwan went by relaxing by the resort pool, the next day was spent in nature activities, which included a canoe ride down river Rapti, a quick visit to the local elephant conservatory, and last but not the least, a jungle safari near Chitwan National Park. Almost two hours into the extremely rugged jeep ride, when the possibility of a rhino sighting was almost ruled out, and visitors decided to head back to the resort exhausted from the heat and humidity, there waited a surprise for everyone, a pair of rhinos right around the trail! 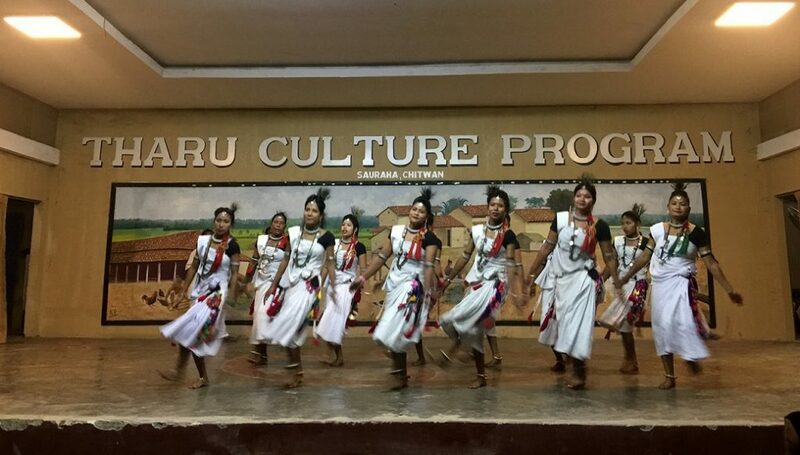 While the jungle adventures were a source of a huge adrenaline rush, the Tharu Cultural show in the evening served as an occasion to get a peek into the tribal culture of the region. 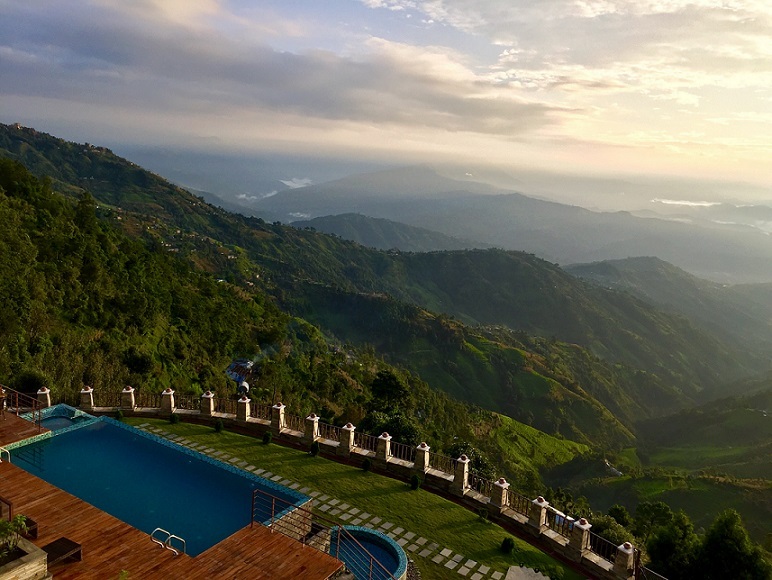 Nagarkot was the final halt on the almost cross-country-esque Nepal road trip and an ideal destination to wrap up the nine-day-long trip. Perched on the northern fringe of the Kathmandu Valley, this quiet village is perfect for those looking for a serene getaway from the hurly-burly of city life. With stunning vistas of the higher Himalayas, the sun playing peek-a-boo with the passing clouds, mist rolling into hug the hills and the village folks going about their daily chores, it made an idyllic setting to sit back and enjoy the scenic views. Nine days are obviously not enough to experience all the vibrant hues of Nepal, but it is good enough time to experience Nepal beyond its clichéd fame as the gateway to the Himalayas. The trip sure was a winning opportunity to discover and explore the different aspects of Nepal and get the genuine taste of Nepalese hospitality along with it, a lovely chance to soak up Nepal’s landscape, culture, heritage and food and see firsthand why Nepal makes it to the top ranks of travellers’ bucket lists. Hope you enjoyed reading this trip reflection. Please stay connected for more stories from Nepal. Also, have you been to Nepal? If you have, then do share your take on this beautiful country in the comment box! What a wonderful summary this! Felt like I was revisiting the country all over again. The quaint Bandipur , the gorgeous Nagarkot and the serene Pokhara:) so many varied experiences across the span of these 9 days! Loved to read your post. Amazing pics from Nepal. Great Start. Luved the way you narrated it. And some great pics!! Beautiful writing with great pics…. A very interesting article!! Would you be interested in sharing it on our travel platform? Ragini, It was my pleassure read your article. I have also covered Nepal. It was an awesome place to visit. 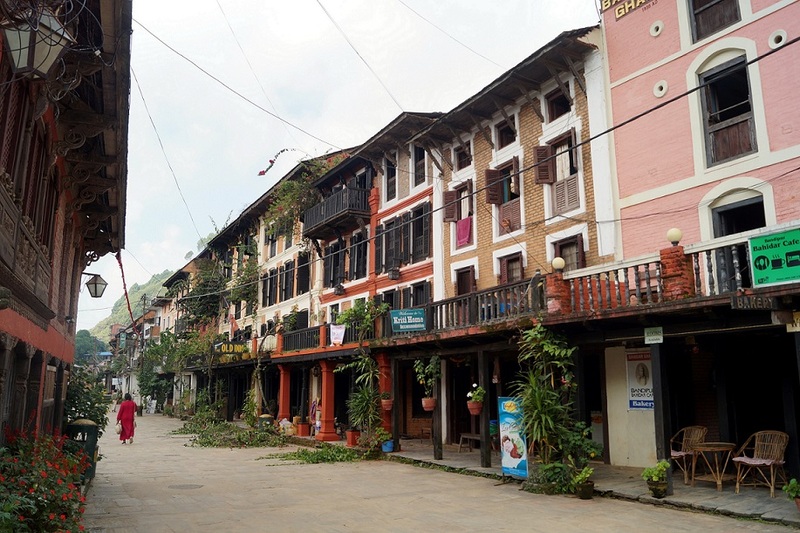 Bandipur and Punakha – putting them on my list for the next Nepal Trip. 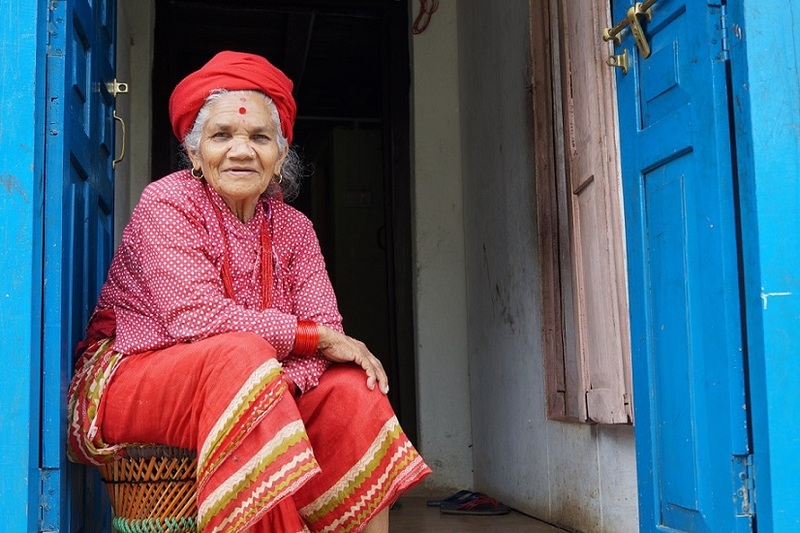 I never feel Nepal is anything different than India – it feels home to me as much as India does. Nepal is amazing! So far I associate it with food (many Nepalese restaurants in Finland) and obviously mountains. 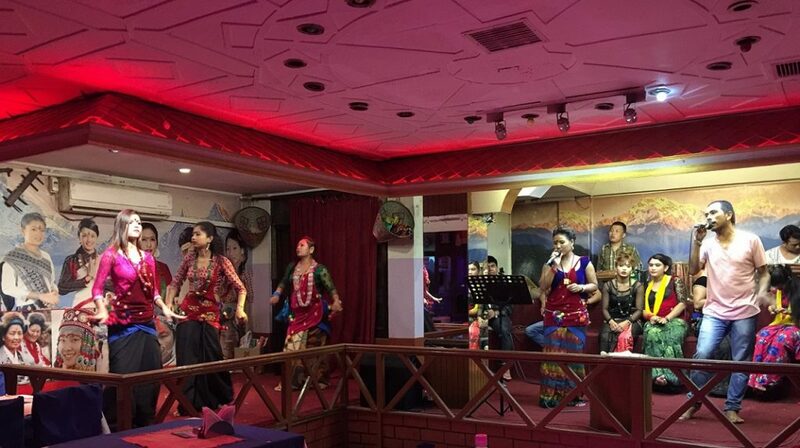 I got to know many Nepalese here in Helsinki. They encouraged me to visit Nepal. I still did not make any plans, but seeing the busy streets, architecture and kind people makes me wanan go. Thanks for a good informative post. great post! amazing photos of the nepal major tourist places!